Love My Aptsubmitted by Nastascia P. - Feb 06, 2019 |Recommended: YesI love living here. Some people say its expensive but moving from a house where we had to pay for everything, we are saving so much money living here. You only have to pay rent electricity, Cable wife are included. The staff is very friendly and accommodating. Great Staffsubmitted by James F. - Jan 11, 2019 |Recommended: YesThe staff is great and the maintenance staff are also great. The grounds are nice as are the apartments. Prices are a little steep and corporate is not the best. I really enjoy the property and the courteous staff.submitted by Nealie B. - Jan 09, 2019 |Recommended: YesIt is peaceful, enjoyable, and luxurious. Everything you need is within reach and there is a plethora of entertaining things to do. Very nice and great amenities.submitted by Evelyn F. - Dec 19, 2018 |Recommended: YesGreat place to live. Nice layout and stylesubmitted by Nicole N. - Oct 31, 2018 |Recommended: YesIt is mostly quiet and nice amenities. Only thing we did not appreciate is the lack of knowing this complex is section 8 housing. Could be better with lawn maintenance. Request lawn refreshed mulch, specified residence only handicap sign .submitted by Doris G. - Oct 03, 2018 |Recommended: YesOverall good living except building 1 could use better cleaning service, more often. 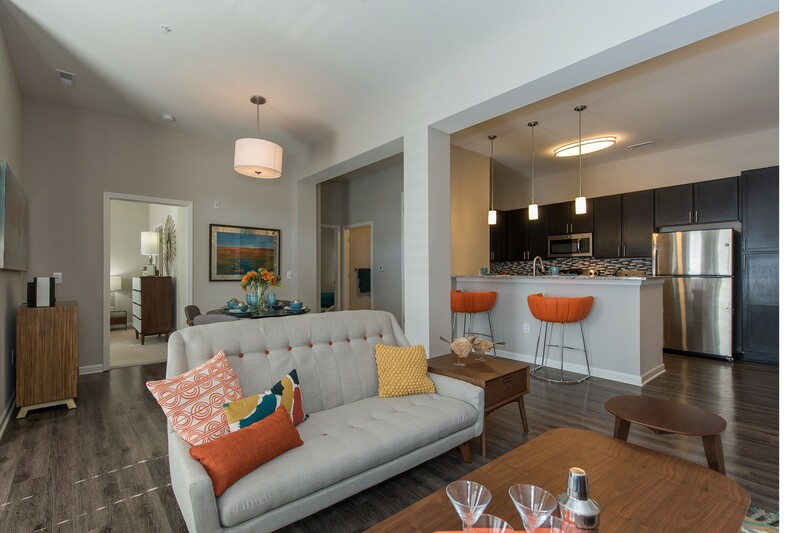 Nexus At Sandhill Reviewsubmitted by Carlton P. - Sep 25, 2018 |Recommended: YesEverything about this community serves to a decent standard with the exception of the maintenance. I have had to put in a few different work orders of different levels and though I do get a text letting me that the service is complete, which is great, I am never notified of the resolution which in a case has led me to resubmit a work order. I am not happy with the maintenance as of late.